Multiple window frame profiles are available on most Majestic and Crown products. 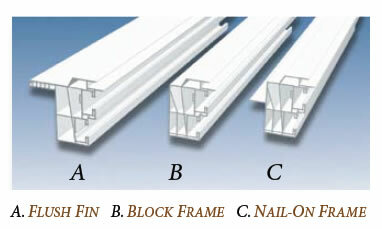 Three styles of frames are available to meet various applications. 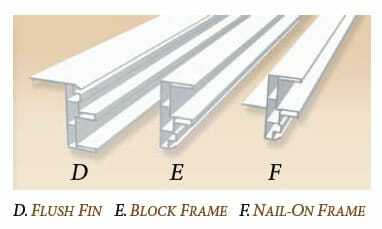 The flush fin frame is utilized for replacement of old windows. The block frame is utilized for replacement or new construction applications. The nail-on fin frame is most commonly utilized for new construction applications.